Here’s another drawing from my series of cartoons attacking the Tory party and their sycophants and cheerleaders against the poor in the media. It’s another cartoon of Iain Duncan Smith, the former head of the DWP and the Tory party, before it was taken over by David Cameron. Cameron’s austerity campaign, launched with the support of the Tories’ coalition partners, the Lib Dems, and their leader, Nick Clegg, has been responsible for the deaths of untold tens of thousands. Many of these are due to IDS’ massive expansion of the sanctions system in the DWP, which has seen terminally ill cancer patients told they are no longer entitled to benefits because they’re fit and healthy. Other disabled and unemployed people were sanctioned because they missed interviews, when they were in hospital. A number of whistleblowers have come forward and revealed that the DWP operates a quota system, in which a certain number are to be found fit for work, even if they aren’t. Several offices were also caught giving prizes and gold stars for the worker, who could throw the most people off jobseekers allowance. After a long struggle, Mike over at Vox Political got figures from the DWP under the Freedom of Information Act, which revealed that for a specific time, 13-14,000 people died after the DWP decided that they were fit for work. Researchers at Oxford University have also found that in 2015, austerity killed 30,000 people. If we assume this figure has remained constant, then to date, in mid 2017, something like 75,000 people have died – 30,000 in 2015, another 30,000 in 2016, and about half that number, 15,000, this year. Add the 13-14,000 Mike found, and you have a total of 87-88,000. And this may well be an underestimation. Johnny Void, Stilloak, DPAC and other disability bloggers like Mike have also put up lists of the names of some of the poor souls, who have died in misery and starvation, and the circumstances in which they died. There are 500-600 + people on it. Some of them took their lives as they saw no way out of the poverty and starvation that was being inflicted on them. Mike and the other bloggers are calling this death toll what it is – the genocide of the disabled, and ‘social murder’, following Friedrich Engels discussion of the concept in his The Condition of the Working Class in England. I’m something of a comics fan, including 2000 AD and Judge Dredd, Mega-City 1’s toughest lawman. And so I decided that one of the best metaphors for the carnage IDS and the Tories have inflicted on the poor and innocent was to show him as JD’s arch-enemy, Judge Death. Or Sydney, as he was also known. Judge Death was an animated corpse, who came from a parallel world in which life itself had been declared a crime, because all crime was committed by the living. Which is close to IDS’ and the Tories’ idea of punishing the poor, simply for being poor. 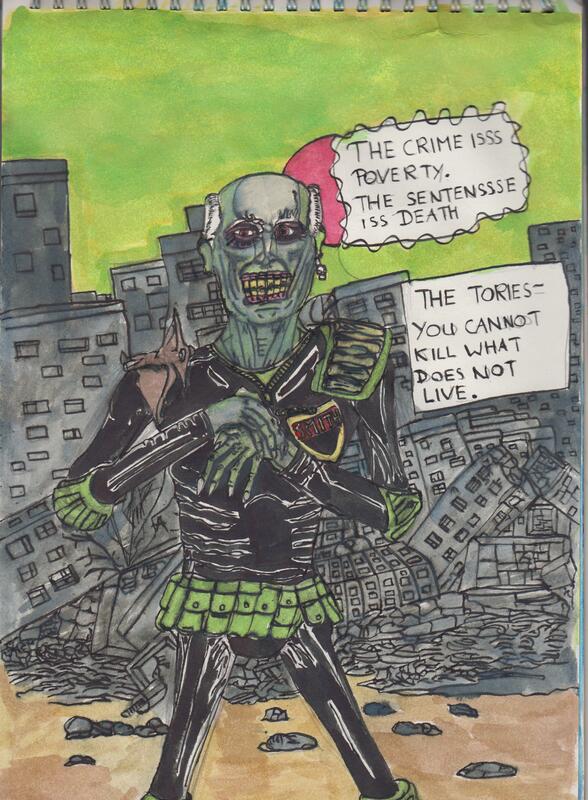 If you can’t read them, the captions are ‘The crime issss poverty, the sentensssse isss death’, and ‘The Tories – You cannot kill what doesss not live’, paraphrasing Death’s catchphrases ‘The crime issss life, the sentenssse issss death’, and ‘You cannot kill what doesss not live’. If anyone from the 2000 AD crowd is reading this, please accept it as a twisted homage to the subversive, anti-authoritarian and satirical nature of 2000 AD and its strips, which have made it one of the leading comics for nearly forty years since the late 70s. Mike yesterday put up a piece about the tragic death of another unemployed person, Jodie Whiting. Whiting, a 42 year old mother of nine, committed suicide after the DWP stopped her benefits, according to the coroner’s inquest. She was sanctioned because she missed an appointment for a ‘health assessment’, though she later said she knew nothing about it, because she was in hospital at the time. DWP staff have now issued an apology, and the sanction was overturned after she died. Mike points out that despite his campaign a few years ago to get the DWP to release the figures for the number of people, who have died after having their benefits stopped, the DWP are still sanctioning people. And the results are deaths like these. 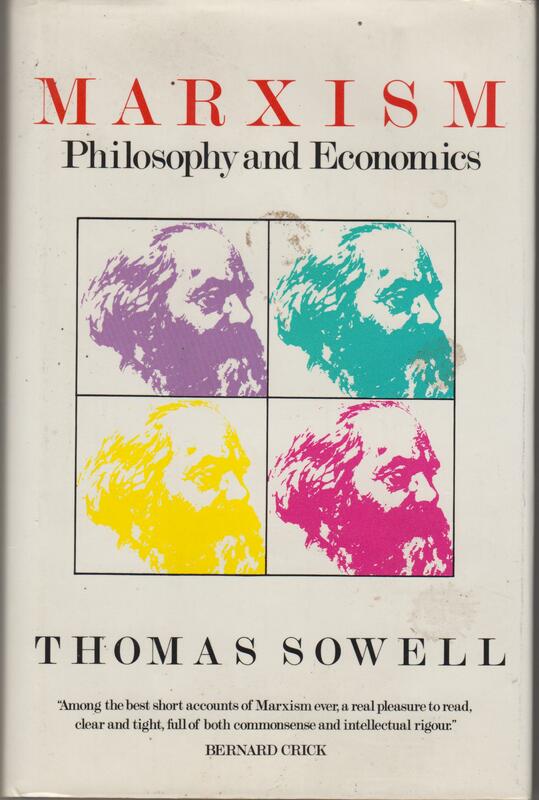 Mike in his conclusion makes clear the poor woman’s suicide is exactly what Engels called such deaths – murder it remains. Ms Whiting’s death is just one of many tens of thousands of people, who have died in misery and poverty due to the Tories’ sanctions regime. Johnny Void, Stilloaks, Mike, DPAC and many, many others have put up posts reporting the deaths, and naming the individuals, who have died and the circumstances of their deaths. The last time I looked, the number of disabled people, who had starved to death or committed suicide after having their benefits taken away was about 500-600 +. And the above blogs and organisations have published lists and short biographies of these tragic victims. But the actual numbers of people, who have died in total, is much, much larger. From the figures Mike was able to wrestle out of Iain Duncan Smith’s mendacious and obstructive DWP, the figures are in the tens of the thousands. Mike and other bloggers and news organisations, have had to struggle to get these figures. The DWP repeatedly turned down the requests for them under the Freedom of Information Act on the grounds that they were ‘vexatious’. When the Information Commissioner finally forced them to reveal the stats, the DWP did nothing until the very last minute, when it repealed against the decision. When they finally did release the figures, it wasn’t quite those Mike had requested. Even so, these showed that for the period in question, something like 13-14,000 of people had died after the DWP found them ‘fit for work’. And researchers at Oxford University reported that in 2015 30,000 people were killed by austerity. An austerity Theresa May is still pursuing, despite her widely reported comment in the papers that it was dead. This is carnage. This is mass murder. It is what Mike and other bloggers have called it, including Jeffrey Davies, one of the many great bloggers on Mike’s and my websites: the genocide of the disabled. But the Tories are getting away with it, because those killed are dying in their own homes, by their own hand, or simply through starvation. They have not been herded into death camps, or physically shot or murdered by the DWP. They have simply been allowed to die, in misery and despair. There are upwards of 100,000 people using food banks, and something like 7 million plus people living in ‘food insecurity’ – that is, they don’t know if their next meal is going to be their last. Or if they will have a next meal. Hard-pressed working mothers, who need benefits to make ends meet thanks to very poor wages, are starving themselves just to feed their children. It has to end. Now. We need another election and a Corbyn victory to end the Tory regime of fear, despair and organised, corporate murder.